A couple of days ago the upcoming Moto Z Play got certified by China’s TENAA, the country’s FCC equivalent. 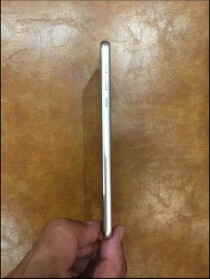 This meant we got to see the first images of the device, low-quality as they may have been. 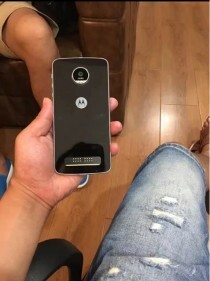 Now though someone in possession of a Moto Z Play prototype has decided to create a photo session starring the unannounced smartphone, and make the resulting images public. Here they are. 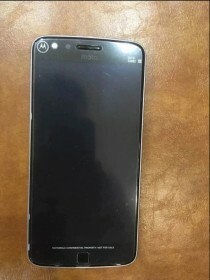 As you can see, the Moto Z Play mostly shares the design of its two already announced siblings, the Moto Z and Moto Z Force – including the huge camera hump and MotoMod connectors on the lower side of the back. This obviously means the MotoMods will be compatible with this phone too. Despite being the lowest-end of the bunch, the Moto Z Play keeps the fingerprint sensor on the front, and seems to at least have a metal frame (though the back looks less like metal and more like glass). With so many leaks about it appearing lately, the Z Play is bound to become official soon. It will sport a 5.5-inch 1080p touchscreen, a 16 MP rear camera (with 4K video recording), a 5 MP selfie snapper, and a 3,510 mAh battery. It will run Android 6.0 Marshmallow. It will be powered by the Qualcomm Snapdragon 625 chipset, which boasts a 2 GHz octa-core Cortex-A53 CPU. A few different versions of the handset will be offered, one will have 2GB of RAM and 16GB of expandable storage, another will feature 3GB of RAM and 32GB of built-in space, and even 64GB might be an option.